Myra McElhaney is a speaker, corporate trainer and writer who helps companies improve workplace relationships and inspires people to push beyond their boundaries. Myra’s articles have appeared in various publications including Customer Relationship Management, Competitive Edge, USIndustry Today and Atlanta Woman magazine. Her advice is often quoted in other renowned publications such as Investor's Business Daily, The Employment Review, and Woman's World. Her writing is featured in two anthology books published by James & Brookfield in Atlanta, Georgia. Myra has appeared on WSB-TV and GPTV in Atlanta, WKMX Radio in St. Louis and WPCH Radio in Atlanta. Myra currently serves on the board of The International Alliance of Women where she served as co-chair of their 2006 Global Partnership Forum in Atlanta, Georgia. 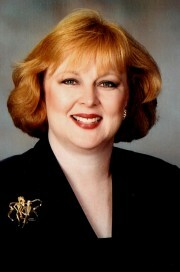 She is on the board of The Possible Woman Foundation International and the Georgia Women’s Institute. She is a former board member of both the Georgia Executive Women’s Network and the Georgia chapter of the National Speaker’s Association. Her professional affiliations include membership in The National Association of Female Executives, the National Speakers Association and the Board of Directors Network. Myra is currently researching and writing a book, Women Who Were First: Stories of Modern Day Pioneers Inspire You To Blaze New Trails In Your Own Life, which is based on extensive research and interviews with 100 women who were “the first woman to…” in a variety of accomplishments. Working with a wide array of corporate clients, Myra conducts training programs and workshops on issues relating to workplace relationships. Topics include leadership, teambuilding, dealing with difficult people, customer service and sales.